I love new products. Although save the date magnets are not a new idea, this was my first crack at these fancy little decor items. 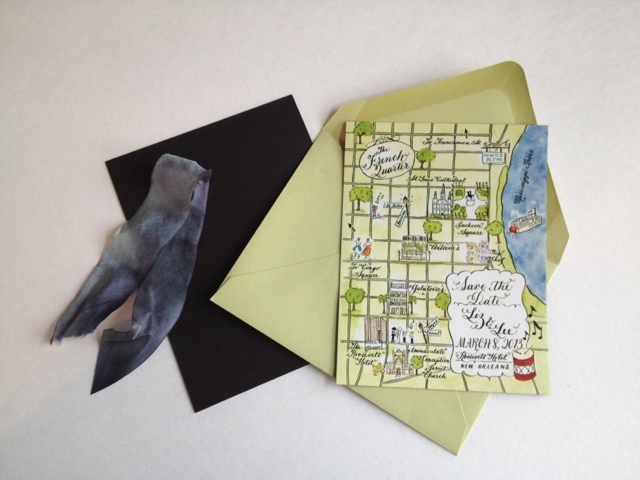 The New Orleans watercolor wedding map here is one of my favorites. It depicted the French quarter and the second line band which are NOLA's signature. For those of you who are new to my watercolor wedding maps, these are each custom painted for my clients. They pick the places, the style, the colors, the font, and the layout. All wording is personalized for the occasion. 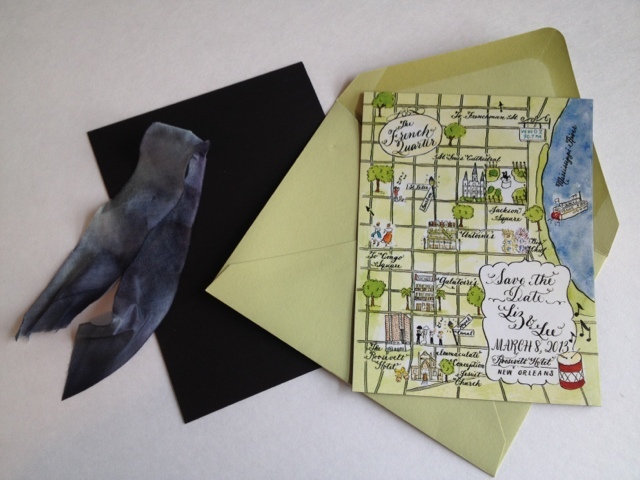 My watercolor wedding maps can be used inside your invitation, as a thank you card, in a welcome bag, or on the front of a weekend program. Pretty much anything you can print on, these maps can be used to decorate. What a great touch!